Audi RS3 Boot Space, Size, Seats | What Car? Audi's A3 Sportback is one of the more practical family hatchbacks, and this RS version is just as usable. 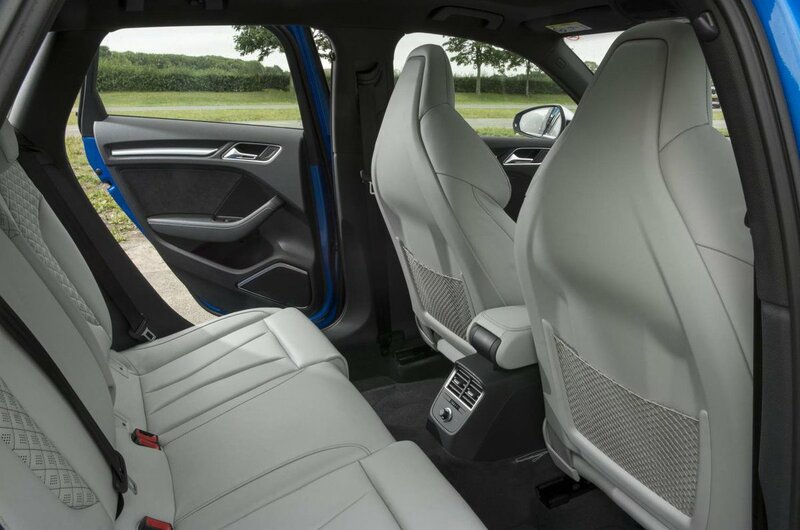 There's generous room for two adults in the front, and the standard heated electric sports seats (with adjustable lumbar support) are surprisingly comfortable, yet also supportive when corning hard. In addition, three children can sit side by side in the back, even if the middle passenger’s backrest isn’t as comfy and there’s a small hump in the floor for them to straddle. 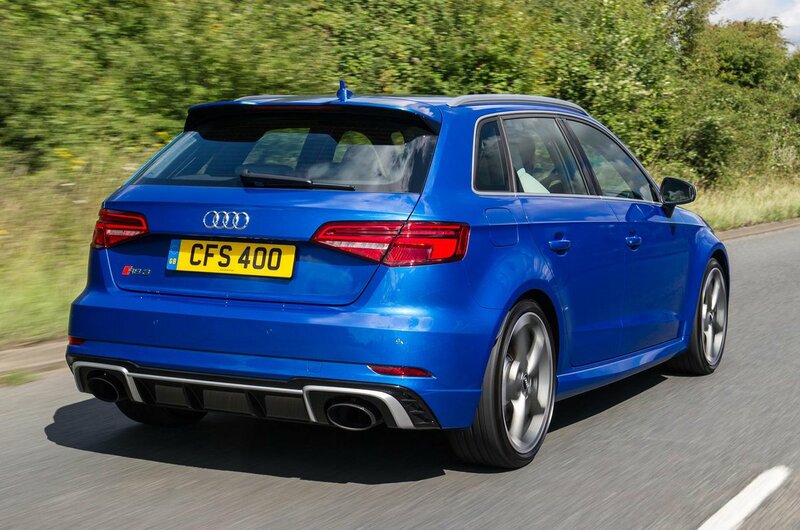 The RS3's boot is one of the biggest of any hot hatch, and it has a nice wide opening. The boot is also fitted with a height-adjustable floor that reduces the load lip and ensures there’s no step up to the rear seats when they’re folded down. The opening is a decent size and shape, too, while a through-load hatch is an option, allowing you to accommodate lengthy items, such as skis, without folding down either of the outer rear seats. 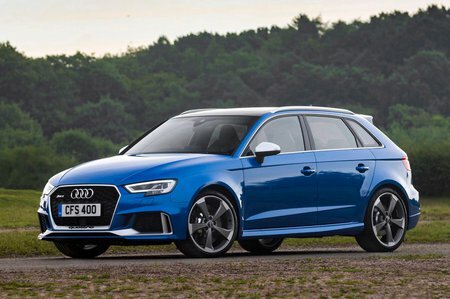 The RS3 Saloon may be more expensive, but it can’t match the Sportback’s practicality. While rear leg room is virtually identical, the roof sits lower eating into head room. Boot space also suffers; the opening is nowhere near as big as the Sportback’s and capacity takes a big hit, too. If you’re planning on lugging around bulky items, we’d definitely go for the hatch.